Is it possible to home school without spending a lot of money? YES! Many homeschooling families are one income families. Most have stay at home/work from home moms who are the primary educator. Did you know there are other moms who devote tons of TIME and EFFORT to seek out all the free resources available online? There are groups of home schoolers who come together to get the same purchasing discounts as the public school systems. There are even mom teachers who take time to make planners, worksheets and full school year curriculum that allow you to be certain your children get a well rounded education without a lot of prep yourself? Yep, its true. That is how this single mommy of more than half dozen kiddos is able to home school this bunch. You can do it too! Here's a list of my FAVORITE and most used FREE RESOURCES. Chronological and Biographical Unit studies for History. Theme based studies for science. Multi-media, hands-on and designed to encompass a variety of learning/teaching styles. Complete 3 - 6 week unit studies can be created from the sources found on just one topic. Created for use with ages 7 to 14. Updated regularly as these are my children's lessons. an open-and-go, easy-to-use program for family read aloud books and independent readers for each of the four history time periods. 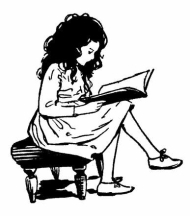 Each lesson in Classical House of Learning Literature revolves around a particular time period, historical event, genre, and/or or author, using appropriate picture books, original classic literature or adaptations, quality fiction, and/or poetry. Description from the website: students will gain an individualized education through the use of classical works. All learning is built on a foundation of classical literature that is taught to edify students and raise them to a higher platform of knowledge. This is accomplished through the study of the numerous classic books available along with the exams to track student progress as they develop academically. testimony: My kids respond best to a balanced combination of textbooks & living-books.This curriculum is built largely, but not completely, on public domain texts. I considered using Ambleside Online exclusively, but soon realized that it isn't structured enough for my boys, who came out of a public school setting. Literature basedIt uses Charlotte Mason's classically-based principles to prepare children for a life of rich relationships with everything around them: God, humanity, and the natural world. AO's detailed schedules, time-tested methods, and extensive teacher resources allow parents to focus effectively on the unique needs of each child. By registering for a Lesson Pathways account, you get unlimited access to our entire K-5 curriculum and our Planner. Included is over 900 weekly topic units containing the BEST free educational resources found on the web. Garden of Praise is an educational website created in 1999 by a veteran classroom teacher with 35 years experience. Our purpose is to provide free online and printable teaching materials. You are free to print material for your own use at home and in the classroom, but you may not reproduce it for profit. FREE ONLINE Educational games, lessons, and student safe internet web searches. 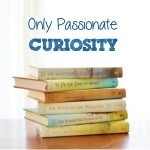 Here's a list of free homeschooling links from Only Passionate Curiosity. This is a wonderful listing of links broken out by subject and grade level. Life Science science is free. Other sciences such as Earth Science, Chemistry and Physical science can be purchased. Levels are middle school and high school. Easy to read with a bit of humor built in these text books. We used life science last year and will move onto earth science this year purchasing individual units we need to keep gaps from our science studies. Art lessons and videos with quality instruction. These lessons are used in some art classrooms and after school art programs. I am learning along with my kids the concepts 'behind' the art that we already enjoy. They have a membership program that looks to incredibly reasonable price for self directed kids. These full bodied complete home school lessons were created in a common sense manner. Hundreds of hours were spent designing a course of study by home schooling moms BEFORE Common Core attacked our schools and curriculum resources. The hundreds of hours invested in these college prep lessons shouldn't be ignored. I have personally used them and was able to use alternate means to teach the same lessons in history, science and English. - this curriculum is coincidentally aligned and I use it! My personal review: This curriculum links to common core resources. This missionary mom created high quality lesson for her kids before we learned of the evils of common core. It is possible to use the program and avoid the common core completely. It requires attention to your kids studies. Personally, I used it for both History and Science and found it easy to avoid the Common Core. (I simply double checked the links for their daily work and if something wasn't to my liking had them use an alternate. I am 'crazy protective' like that. I want to protect their 'little eyes' from the evil internet) I would NOT use it for math - Khan Academy. English I had to pick and choose. We enjoyed the Poetry Studies on all Grades as well as the Black Beauty study. I DO recommend it for Grammar Land grade 8. This is a daily curriculum that was created with all FREE online resources. She says the following: "This school is intended to be college preparatory. They will read challenging books and will always be reading something. Most of the books are chosen from the Robinson and Ambleside curricula. You can read the book lists and specific course descriptions on the individual course pages. I have sought to make this curriculum comprehensive, but not intensive. The lessons are short, intended to keep the school day short." 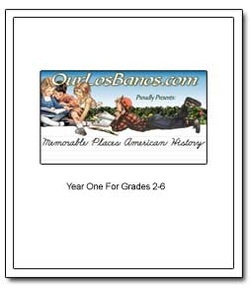 We used this free curriculum when studying American History with my 2nd - 4th graders. We are using this curriculum as the basis for our Ancient History. She uses Mystery of History as her spine. I would recommend the purchase of one quarter on Amazon as a trial to see if this will work for your family. It was definately worth the $4 to help me make the decision how to use our limited home school funds. I poured over her daily schedule and couldn't find a way to make it better! I wasn't able to find one of her texts but we had PLENTY to choose from in our personal library. Oh, and this curriculum is loaded with WAY TOO MUCH stuff to do! Just complete what looks like fun!